Imagine using your living room as a dining room or your kitchen as a bedroom – complete with handicap-accessible equipment. University of Florida researchers will help develop those conversions, as they work on a three-year, $531,000, U.S. Department of Housing and Urban Development grant to develop and test innovations to retrofit homes for people with disabilities to make them more accessible and affordable. In the past, research in this area focused on single-family homes, but this research zeroes in on attached housing, such as townhouses and duplexes, said Sherry Ahrentzen, a professor in the UF Shimberg Center for Housing Studies, and lead investigator on the project. The center is part of the M.E. Rinker, Sr. School of Construction Management, a division of the UF College of Design, Construction and Planning. Faculty members from that college, along with the Institute of Food and Agricultural Sciences and the College of Public Health and Health Professions will collaborate to collect and disseminate data for the project. 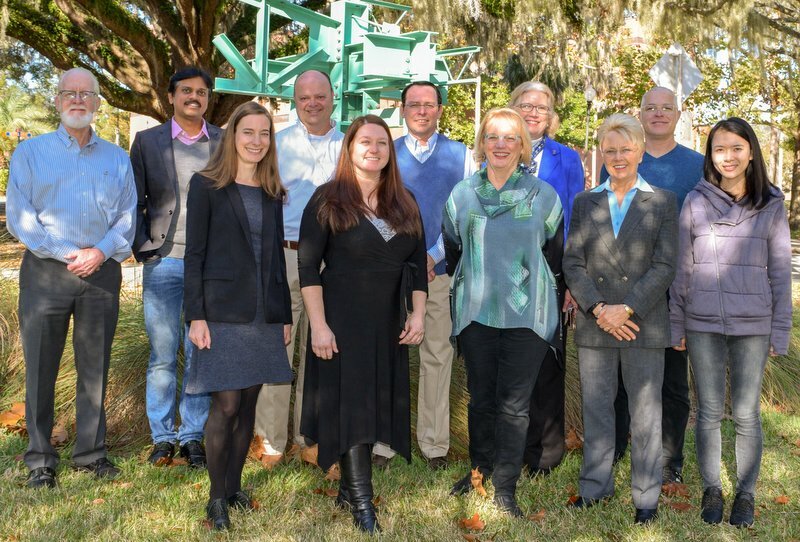 Most members of the research team are part of UF Vital by Design Initiative, which addresses challenges of an aging society by working with systems built without an aging population in mind, Ahrentzen said. If national statistics are any indication, many people will benefit from this research. According to the 2010 National Council on Disability report, 35 million households in the U.S. in 2007 had one or more people with some kind of disability, representing 32 percent of all American households. “The ideal outcome for persons with disabilities is to have resources for accessible, affordable and aesthetically pleasing modifications to existing housing,” said Linda Struckmeyer, clinical assistant professor in the UF department of occupational therapy and one of 10 UF faculty members conducting research for the project. Project investigators will use virtual reality techniques to simulate situations people with disabilities might face in their homes. Then, the people with disabilities will use virtual reality headsets to experience these simulated settings, providing researchers with feedback on ease of use, accessibility, comfort and aesthetic appeal. Before they take participants through the virtual reality experimentation, researchers will meet with focus groups this spring and summer. Those panels will include people with disabilities, their care providers, occupational therapy and rehabilitation professionals, builders and others to find out what works and what doesn’t in people’s homes, Ahrentzen said. “We will also interview people with disabilities to see what modifications they’ve done to their homes so we can have a better understanding of what they’ve come up against and how they’ve had to try to make it work,” she said. UF researchers cannot construct the exact environment that people with disabilities encounter, so they will simulate them as best they can using virtual reality, Ahrentzen said. For example, when volunteers take part in the study, they will wear a headset that projects virtual reality – three-dimensional space that adjusts as people move through it, turn their head and make other movements. They’ll also use haptic gloves to see if they would be able to open a door or pull out a drawer in a proposed design, for example. Such a process allows participants to see and touch objects as though they were real, Ahrentzen said. Also as part of the research, HUD will provide the UF investigators with building documents of layouts and designs of many typical federally assisted attached housing. UF researchers will then propose renovations of the designs for accessible use. After the testing determines which retrofits were most accessible, affordable and attractive, the UF faculty will then need to disseminate their data. Randy Cantrell, a UF/IFAS housing and community development specialist, will lead that effort. For instance, Cantrell might use focus groups that include builders. He also will meet with UF/IFAS county Extension faculty to figure how best to get the research results to the public. Disabled populations as well as caregivers of elderly populations will be among those who will benefit from the research findings, said Cantrell, an assistant professor in the UF/IFAS department of family, youth and community sciences.